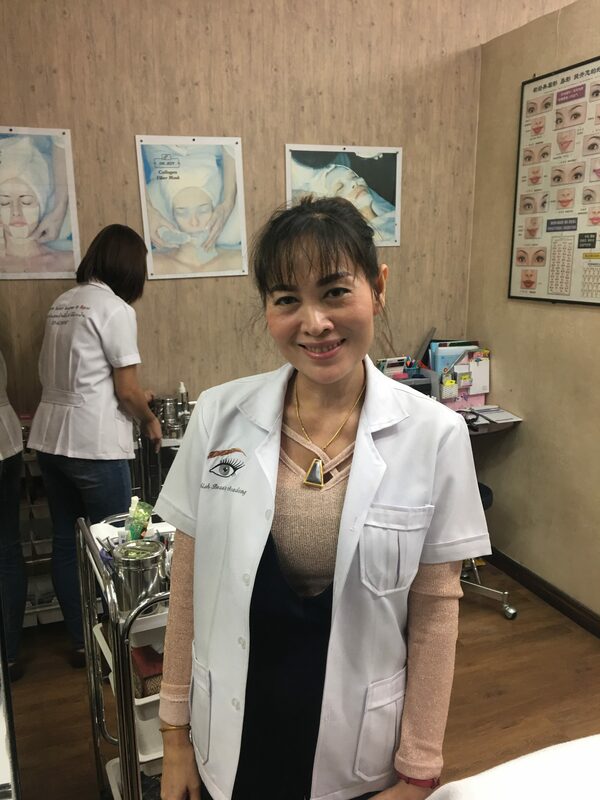 I decided to get my eyebrows tattooed in Bangkok, Thailand and I wanted to share my experience with you guys. When I was in college, I used to have to go get my eyebrows groomed regularly. When I couldn’t make it to the salon, I would trim them at home with an automatic razor. I think that the razor was the culprit of my eyebrows packing there bags and running away from home. I literally cannot recall the last time I NEEDED to go get my eyebrows groomed in the last few years. They had become non-existent. My sister got her eyebrows microbladed in GA and convinced me that I should get mine done too. My only hesitation was the pain. Im a wimp… I have no tattooes so I didn’t think I could handle the pain. I contacted a few Los Angeles instagrammers and they assured me that they would numb my eyebrows and that the pain would be de minimis. Ok, I was ready. Then they quoted me $800…. ????? WTH???? I had a trip planned for Thailand coming up and decided to research how much it would cost to get my eyebrows microbladed there. I researched and researched. 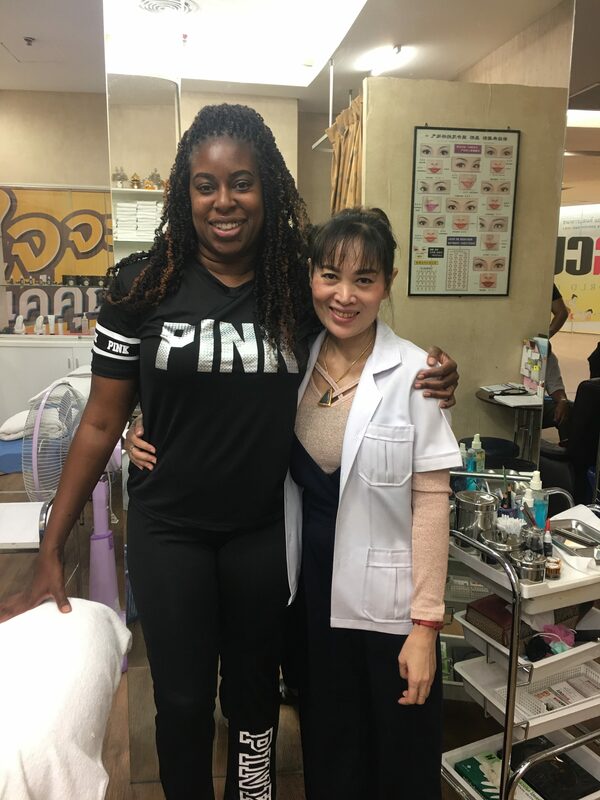 In Thailand, they call the microblading service 3D or 6D eyebrow tattoo. I eventually found a microblading tech that I felt would do a great job for me. So, I booked an appointment with Pen through their facebook page. I showed up at the MBK Shopping Mall where Big Cut Hair World is located at 10 am and began to wait for Pen. She was running late. She eventually gave them instructions to put the numbing cream on me as she would be there shortly. When she arrived she pulled out a ruler and started measuring my face. She measured the distance between my eyes, the distance between nose/eyes etc. She then drew an outline of my eyebrows and asked me did I like it. I didn’t feel they were quite even and asked her to make some adjustments. After the adjustments, I gave her the all clear to get started. Pen is a perfectionist! She went over each eyebrow multiple times. I lost track after like the 5th or 6th time. You can hear her blade scraping your skin which is like the worst part. For the first 3 or so times she went over each eye, I didn’t feel any pain. After that it got a little uncomfortable, but nothing that I couldn’t handle. (and I was a wimp that day). How much was your microblading cost? What type of aftercare did you have to do? 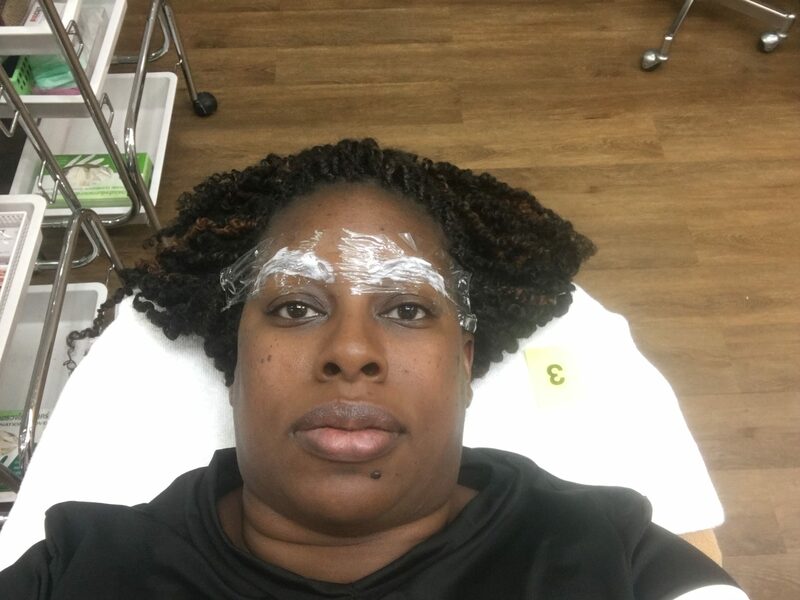 As far as aftercare was concerned, I only needed to make sure that I did not get my eyebrows wet or put any product on them for a week. So no swimming for me and being very careful when washing my face. Other than that, she didn’t give me any special instructions. How long will the eyebrow tattoo last? I have oily skin and she told me that they would most likely last 6 months to a year. As I am currently writing this, Im at about month 3 and they still look great. You are supposed to get a “touch up” about 3-weeks after your initial session. I didn’t do that. As you will see from my video below, i didn’t think that the process worked so I didn’t want to get a touch up done. But my eyebrows have gotten darker since I initially got them done and Im very impressed with them now. I most certainly would. I look totally different with eyebrows now, lol. I love waking up in the morning and actually seeing myself with eyebrows without having to draw them on. Are you considering getting your eyebrows tattoed? Chime in below.